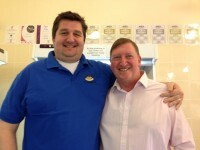 I had been looking for an opportunity to pop over and see Steve Croot at his farm shop in Duffield, Derbyshire for ages. I finally got the chance a few weeks ago so headed over there! The sausages from Croots farm shop are really great so I knew I was in for a treat! The farm shop was everything I could have hoped for and more. A great selection of locally produced food as well as some all important staples from outside the county (including Aspall cyder, one of Suffolk’s finest exports). The butchery counter is so popular they now employ three full time butchers and two assistant part-time butchers. The farm shop, overall employs 28 people, and provides it’s customers with quality local and regional seasonal products. I was fortunate a few months ago to try a mutton sausage from Croots. It was a powerful meaty sausage and the mutton was perfectly balanced with lemon grass. It was a tricky balance to achieve and they nailed it. It was great hot but also cold, sliced up in a salad. I was looking forward to trying out the rest of their range! 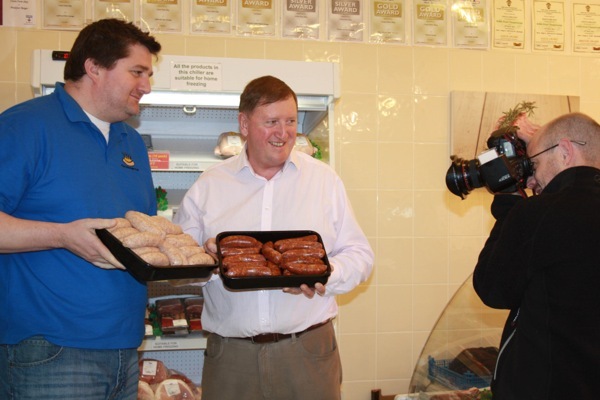 While I was visiting I was lucky enough to have a go at making sausages with Steve’s skilled butchery team. I also got the chance to learn a bit more about the process they go through to decide on new flavours. What a tough job trying out ideas to see what works! And then…of course, we put all this to the test and tried out a selection. It was a totally eclectic mix that were all really well made, really well balanced and all very different. There is something here for everyone! I tried to come up with a favourite but it was tough to narrow it down. I was most impressed with the Ecclesbourne County Classic, designed by Year 10 students at Ecclesbourne School as part of their food technology course. It was a really good sausage and the students have balanced the flavours together really well. 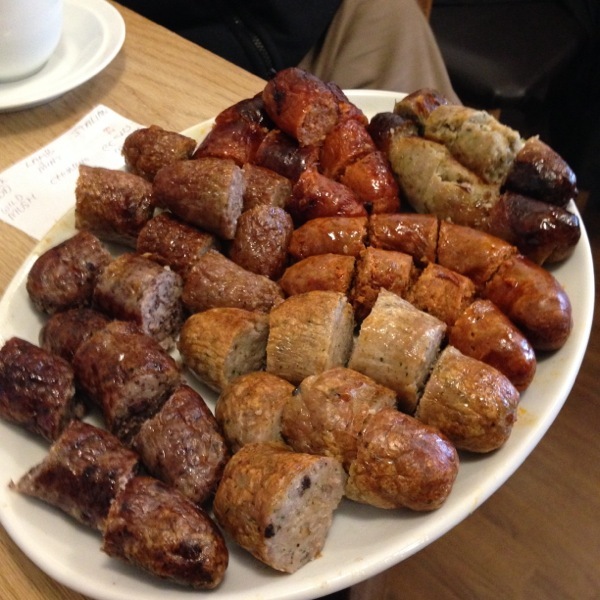 It was a stunning array of sausage perfection! I thoroughly recommend a visit to Croots farm shop. The fresh, locally sourced products are bound to impress you and there are even some brilliantly selected gems from outside the county to make it a one stop shop. Let me know what you think.